Good news, guys! Today is a big day for Inky and his team – we’ve just launched the new and improved version of Inky Deals. We’ve also prepared some amazing surprises for you this week – to be honest, Inky’s behind all of them. You can’t help but love that cute little blob! The only one I can tell you about is this $10 discount coupon: 10gift, available for only 48 hours! 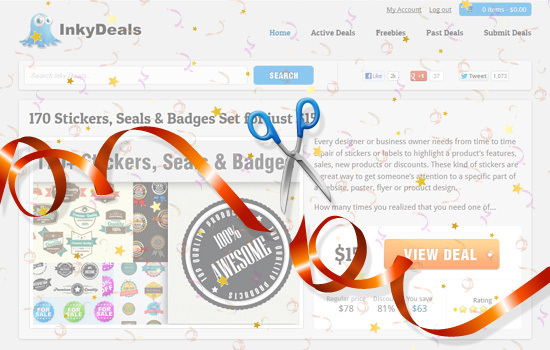 You can now create your own account where you can see all your purchases and bonuses from Inky. You can take a look at what other members are saying about a deal by checking the user ratings and express your needs through the “Suggest a Deal” section. 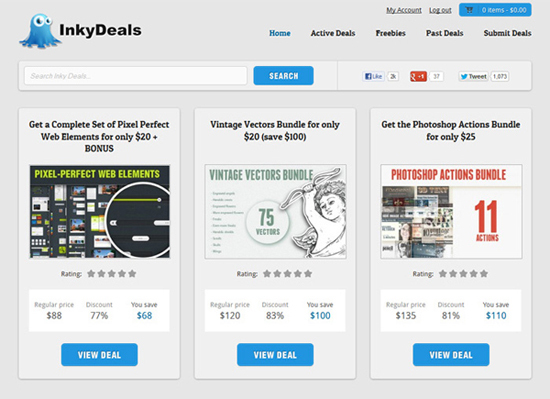 You can navigate easier through the live deals section via filters – this means a lot more deals, too. You can enjoy the easier, more intuitive checkout process and get a better overall experience on the website with a more user friendly design.